I love a good library sale. Don't you? 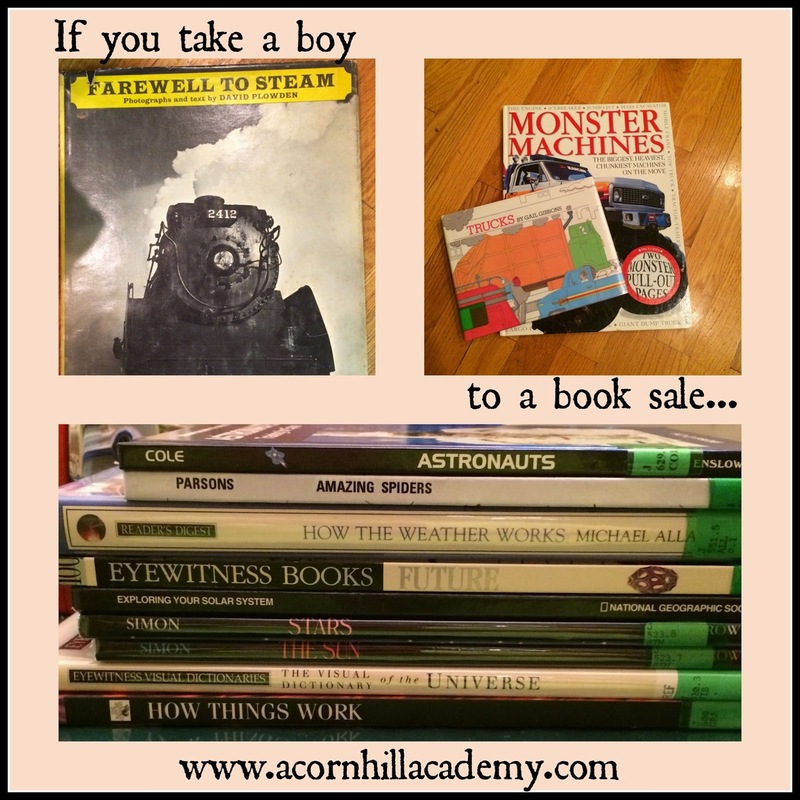 If you are a homeschooler, and you love books, and you have never visited a library sale, you are MISSING OUT! Seriously, you will be amazed at what you can find for much less money than just about anywhere else. It is certainly less money than purchasing new books, even at the most expensive library sale. I am trying to start a library of living books, which means I need a LOT of books. The less money I spend per book, the more books I can purchase. 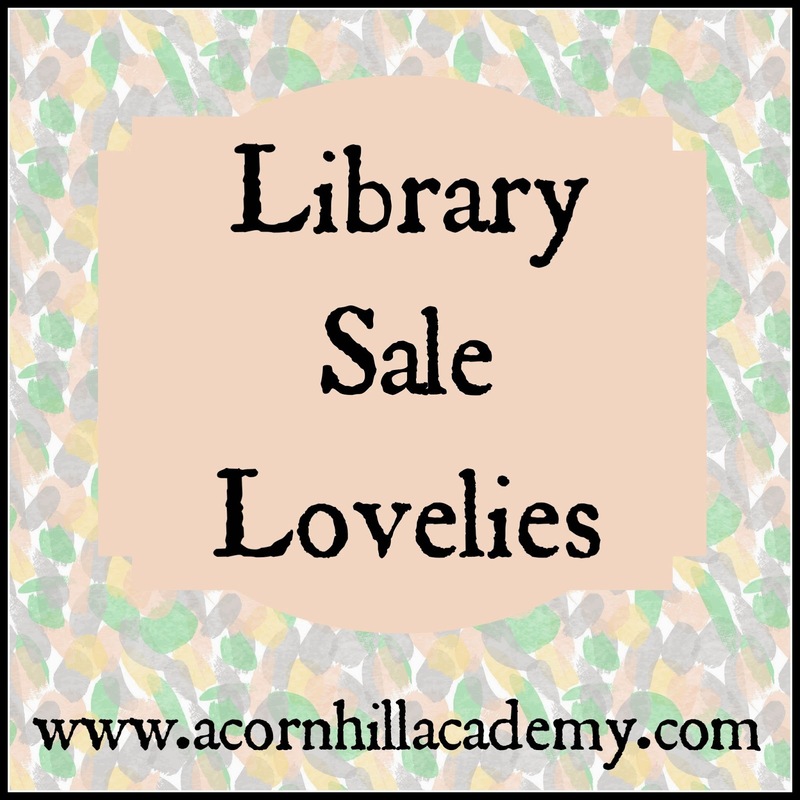 Even if you just want to collect living books for your family, or find books for a child who is fascinated by a certain topic, you can't go wrong at a library sale. Last Friday, I had the chance to go to a local library sale for an hour. One hour. Can you imagine? I had to be rather efficient! I took my 7-year-old, which made it an interesting trip. We started with the children's books, and he picked out several he just had to have. I think the one about steam powered vehicles is pretty neat, actually. We love Mike Mulligan and His Steam Shovel, and it will be interesting to see what other things were steam-powered. I don't know why it was just sitting there in the children's books and not over in the special section where they charge more money, but hey, I'm not complaining! 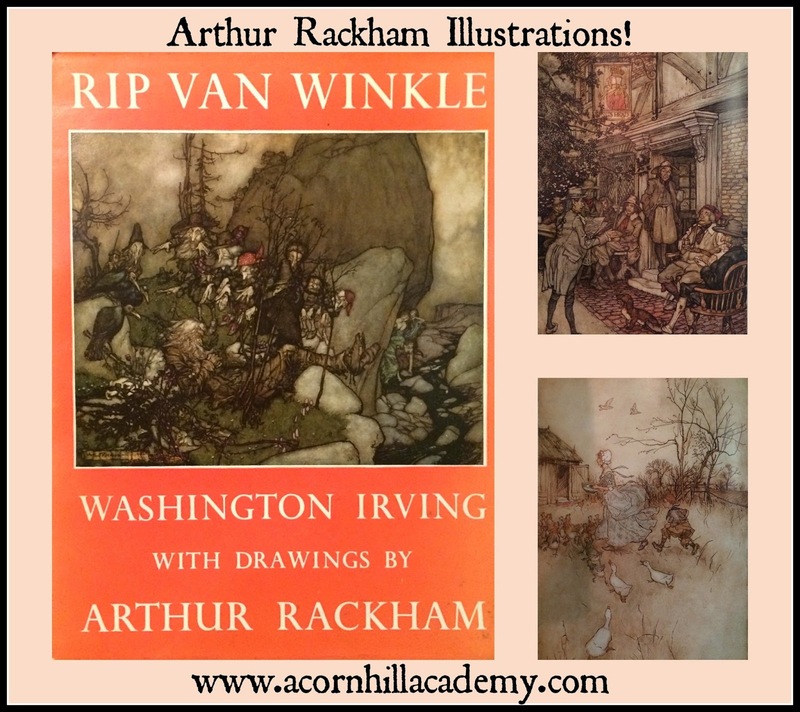 I love Arthur Rackham's artwork. My girls and I have recently joined a book club, and we're reading C.S. 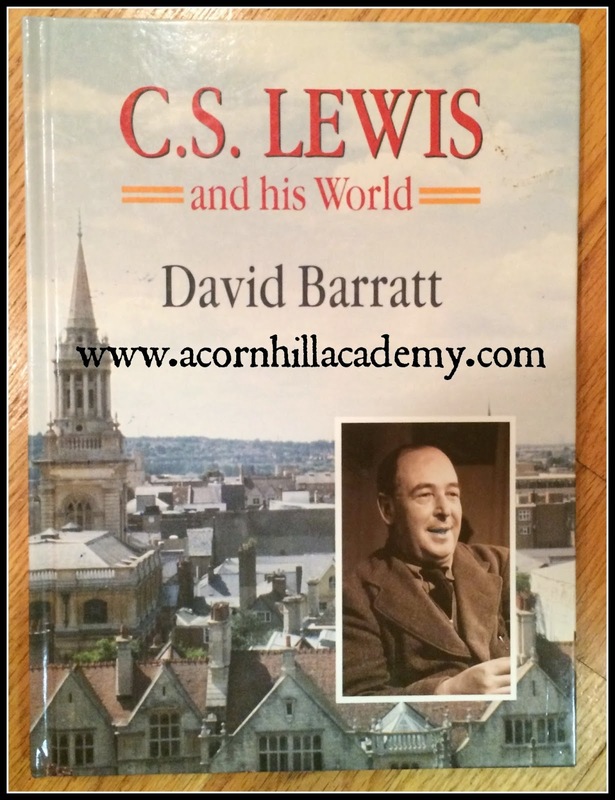 Lewis books. We just finished The Great Divorce , and will read The Screwtape Letters next. 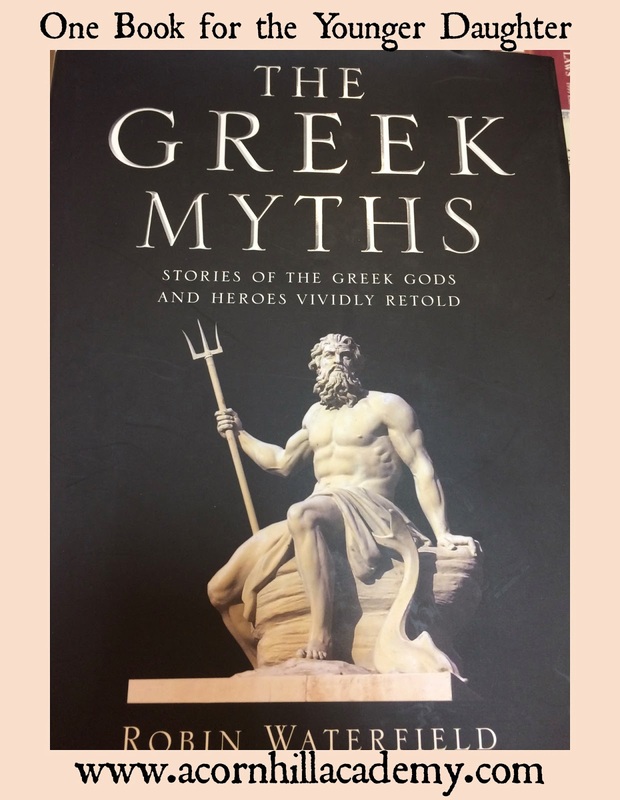 I have a longer biography, but this one is perfect for getting a little more information to go along with our club readings. And, at 50 cents, if it's not fabulous, at least it didn't break the bank. I found some books for my oldest daughter. 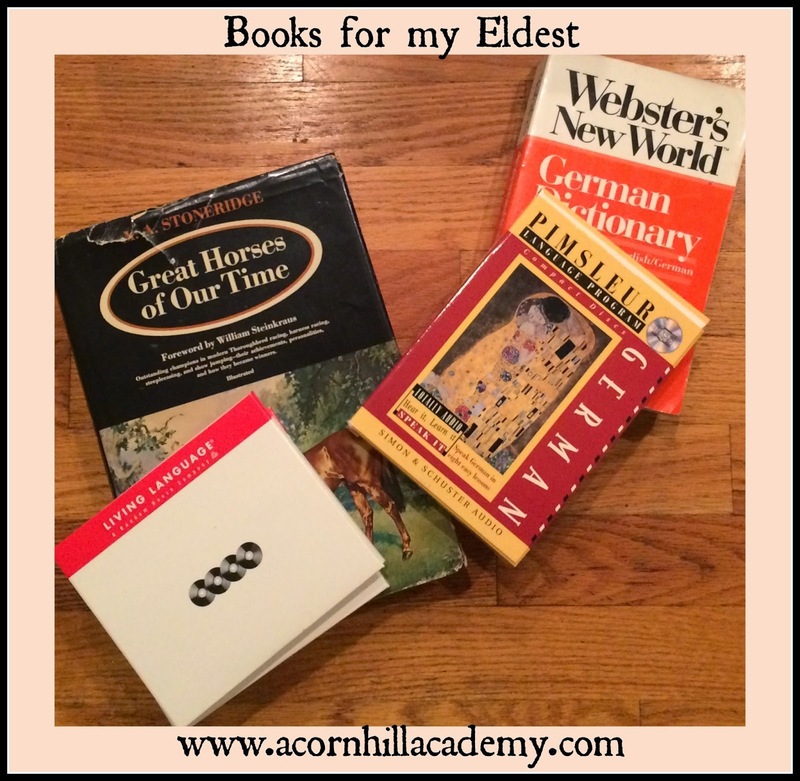 She wants to learn German, and there happened to be sets of both beginning and advanced German courses on CD, as well as a dictionary! I got them all for a total of $5! 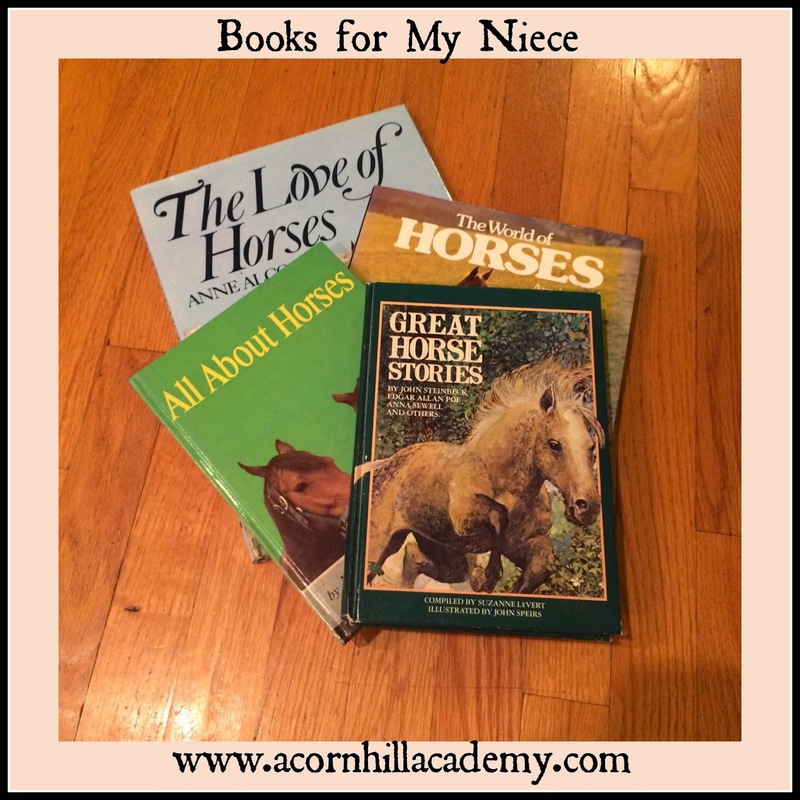 There was also a bonus book on horses, which she will love as well. Those two French books cost $3 total, I think. They look like the same ones I had in college, in fact. God bless the French and their language institute - it means the dictionary is still pretty well up to date. And even a book for my husband! 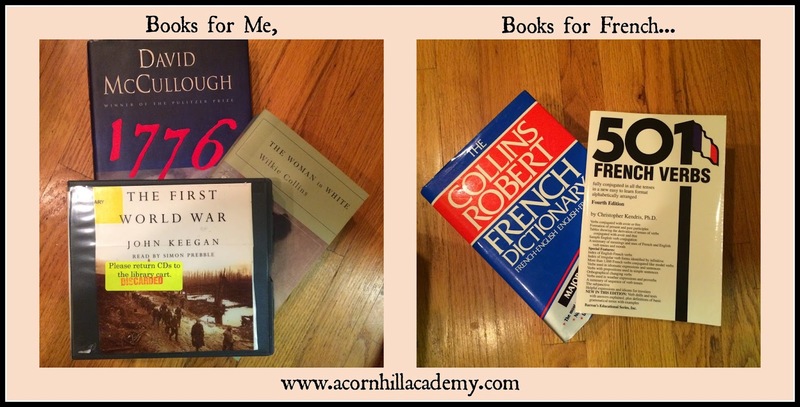 I don't often find books for him, because he has collected books the specific authors he likes for years. Usually the ones he's missing are older and harder to find, but this time I lucked out! I hope I've sold you on the benefits of library sales! I missed a couple in my area over the summer, and I could just kick myself. Ah, well. There is always next year. 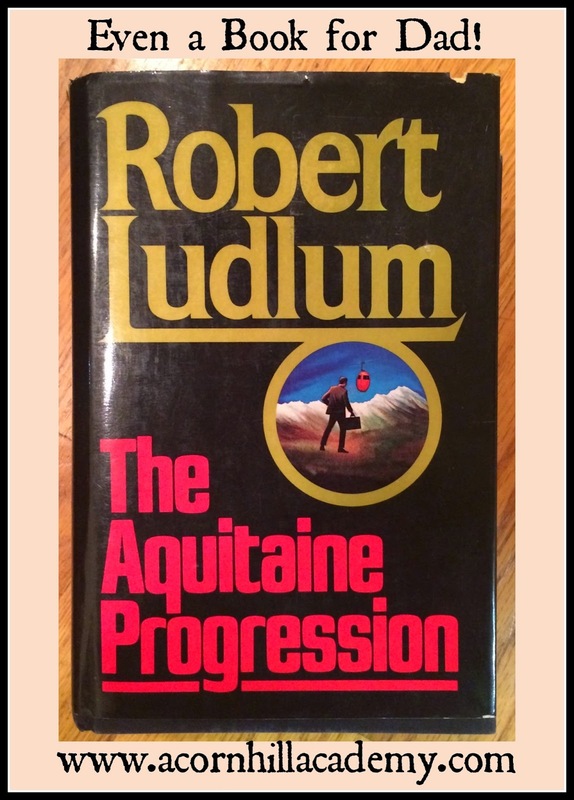 Have you found any treasures at library sales? Do tell!